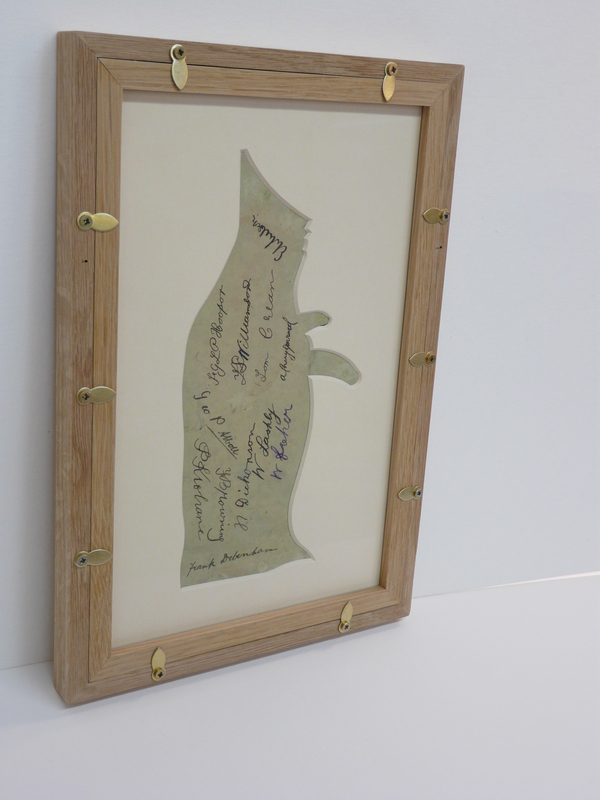 After framing the Inuit Art pieces for ‘The Scott Polar Institute’, in Cambridge, we were aproached again, this time though to handle some very exciting pieces from the ‘Captain Scott’s Last Expedition’ collection now on show at ‘The Polar Museum’. They included artefacts, photographs, some of Dr Wilson’s watercolours (Photos and watercolours to be shown in the next blog) as well as a penguin-shaped menu made by the expedition team whilst spending Midwinter Day at Cape Evans. 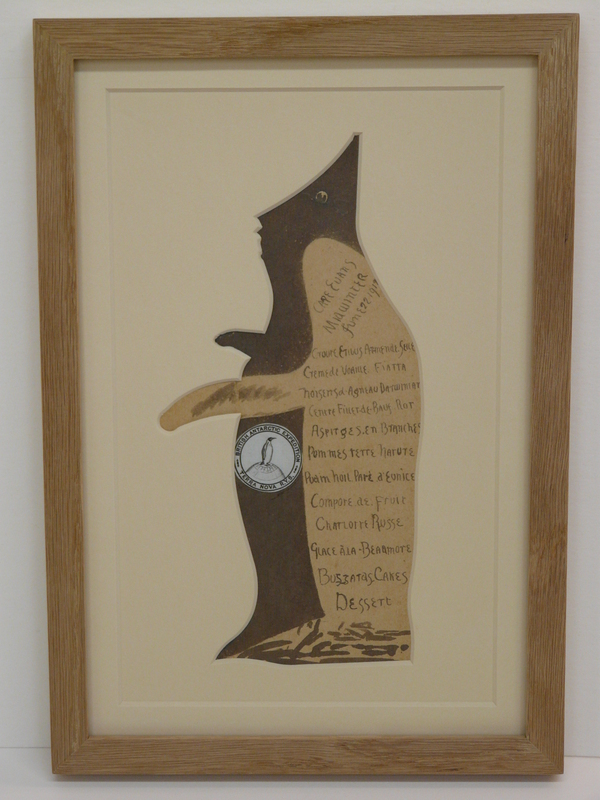 The Penguin menu presented a challenge as it needed to be suspended in the frame so that at any time in the future it could be extracted straight from the frame. We created an oversized mount following the exact profile of the menu (penguin shaped!) to eliminate contact, no adhesive used. For Conservation purposes, this was made from museum grade cotton core board as opposed to wood pulp board. As you can see, the back of the menu held as much importance as the front. The frame had to be constructed so both sides could be seen. The mount was cut in the identical way as the front and of course once again our ‘clearcolour uv glass’ was used. We were so exited to be involved with this project, and it was quite emotional to be dealing the items themselves, one had a real sense of wonder and awe!